Ceremony at Lesner Inn. Flowers by Palette of Petals. Lighting by Blue Steel Lighting Design. Echard Wheeler Photography took the professional photos for this day. check out his blog! Coordinating by Emily Weddings, Inc.
We would love to clear up any confusion regarding the roles of a venue coordinator and a day-of wedding coordinator so that you are fully informed for one of the biggest days of your life. 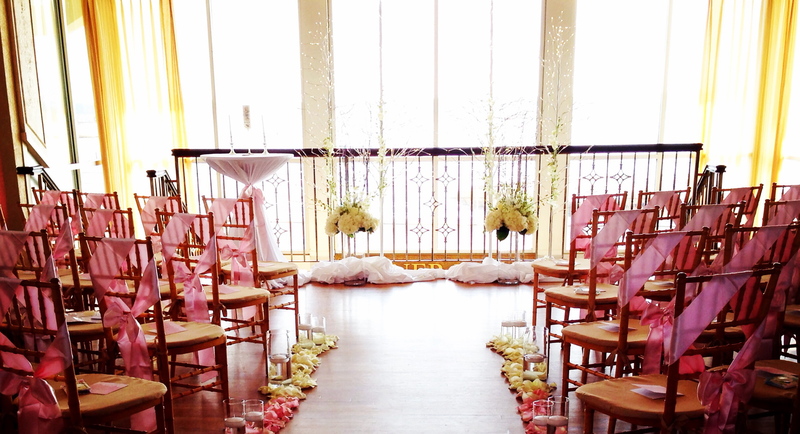 We want to start off by saying that we LOVE working with venue coordinators. They are very much a part of your wedding vendor team, and they want to see your wedding day executed just as flawlessly as you do. With that said, the venue coordinator’s role in your wedding and a day-of coordinator’s role in your wedding are quite different. A venue coordinator is there on your wedding day on the venue’s behalf. They want to make sure that the venue provides the venue’s contracted services – signed, sealed and delivered. They work to ensure that the food is presented correctly, that their venue is in perfect condition (no toilet paper to cling to shoes, not a dirty dish to be had), and that their staff is ready to go for your big day. 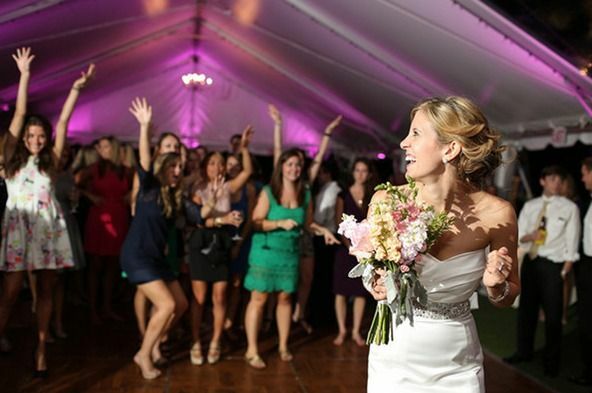 All of their roles are extremely important and make a huge impact on your wedding day! Day-of wedding coordinators are different and have more diverse roles. They take time to meet with you prior to the wedding day, sometimes as early as 4 weeks prior. They collect copies of all the contracts you have signed with your vendors to ensure that you receive all of the contracted services and items on your wedding day. They start communication with each vendor to coordinate timing for the day. For example: If you are having fresh flowers placed on your wedding cake, it is important for the baker and the florist to arrive around the same time, but definitely not before the linens have been placed. If this happens, both vendors will be standing around with nothing to do. A problem, as typically both the florist and the baker probably have several events that day and will need to be efficient with their time (running late when you have multiple cakes in a van is a no can do). Heaven forbid that a wedding professional would have to call you and stress you out with details that should not cross your mind once on that day. It is the responsibility of your day-of coordinator to field those vendor phone calls, execute a flawless plan to remedy any mishaps, and communicate with all of the other wedding vendors that those mishaps may affect. These are important logistical details that a venue coordinator typically does not handle – passing the responsibility onto yourself or a family member. It is the role of your day-of wedding coordinator to create a detailed timeline (ours have even exceeded ten pages) that starts early in the morning of your wedding day and finishes up with all of the wedding items you purchased and your gifts to be packed in the designated vehicles. A skilled and professional day-of coordinator has the ability to be extremely type A in planning your wedding timeline, and then embodies an extremely flexible, problem solving, adrenaline thriving, joyful personality as they keep things running smoothly. Timing is key, and ours is down to the second precise. Venue coordinators and their roles are so very important. We have seen a venue coordinator focused on a computer screen monitoring the impending weather moving over the area. She was able to stay informed so that she could wait to the last possible second before having to close the sides of the reception tent. She wanted the couple to enjoy every minute of the open tent on the water before the sides had to be closed. You want a venue coordinator for that. We have seen a venue coordinator move quickly as extra guests showed up at the wedding at the last minute. She was in the back communicating with the chef for extra meals, adding place settings, and extra chairs. That kept her very busy. You want a venue coordinator for that. We have seen a venue coordinator rush to the fire alarm as the venue’s kitchen caught on fire. He worked with the fire chief to get the venue reopened quickly for the couple’s reception. You want a venue coordinator for that. You see, both the venue coordinator and the day-of coordinator are necessary and, more often than not, an extension of one huge team working together for YOUR big day. Both roles are crucial. We would even be bold enough to say that if you asked any venue coordinator in Hampton Roads if a day-of coordinator is necessary, we’re certain that they would say YES! We truly believe that Emily Weddings would be an asset to the day you have always dreamed of, and have confidence that a venue coordinator would agree. So if you want a leaf blowing, dress sewing, spill cleaning, advocate for YOU on your wedding day, consider a day-of coordinator to make sure it’s as flawless as you always pictured. Reception at Cavalier Golf and Yacht Club. Photo by Jarnett Photography (Jen + Ashley). Lighting by Blue Steel Lighting Design. Flowers by Palette of Petals. Planning by Emily Weddings, Inc.
« Tidewater & Tulle Feature!